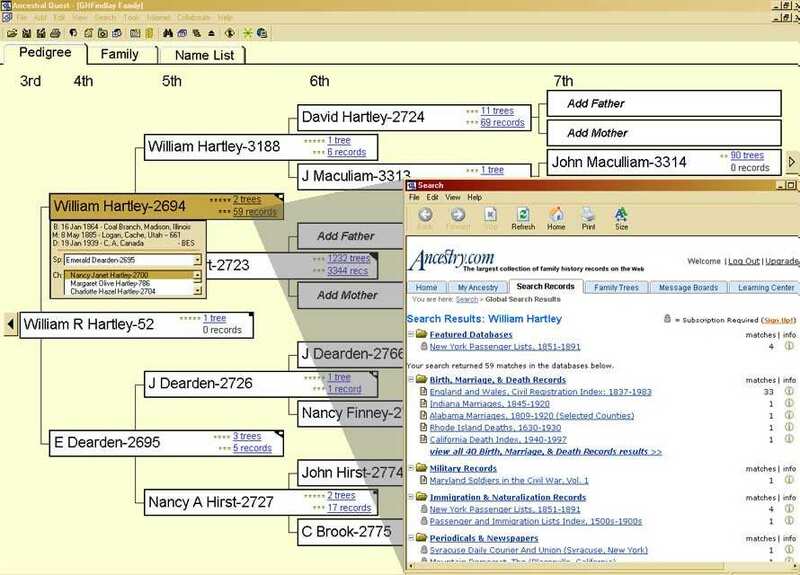 Ancestral Quest provides easy access to many methods to perform research on your ancestors. 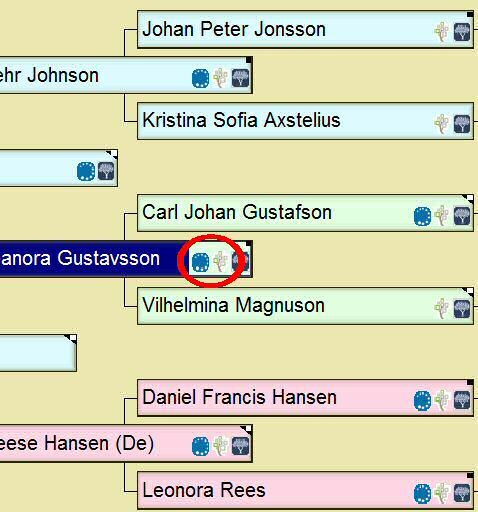 The TreeTips™ hinting technology built into Ancestral Quest 15 will search the world's major repositories of genealogical records and let you know if there are any records for you to examine. Find out more about these Hinting tools on the TreeTips page of this site. Select any name in your database, then with a few clicks of the mouse, you can search a growing list of Internet search engines for this name. There is no need to add details about the person once the website opens—they are added by AQ for you. You just view the results of the search. 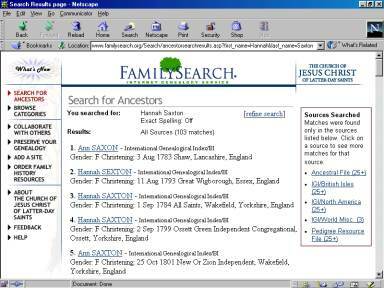 Search from such online powerhouse sites* as WorldVitalRecords.com, FamilySearch.org and Ancestry.com. You can even add search engines that are of greatest value to you to the list! AQ will show the quantity and quality of the results in the name box. By clicking on a number, you will then see the details of what Ancestry.com has to offer. Note that for full benefit of this feature, you will need a subscription to Ancestry.com, but you can get some value out of this feature even without an Ancestry.com subscription. *Many commercial websites require a separate subscription to be paid in order to access their content. **Ancestry.com may at any time stop processing requests from AQ for information from their databases. While we don&apos;t expect this to happen, access to this information is not guaranteed.